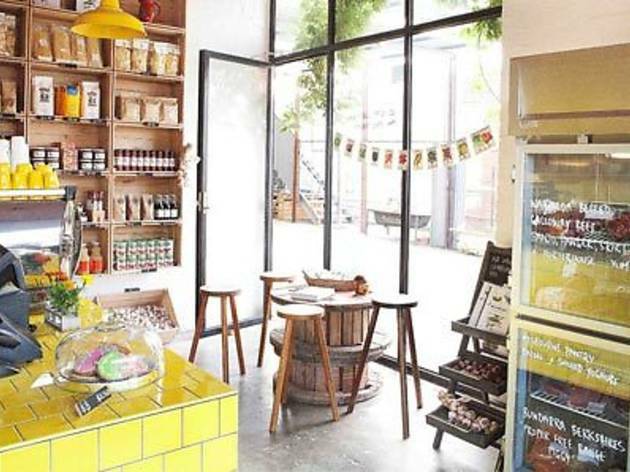 Hams & Bacon is a food produce store as well as a take-away eatery from Matt Wilkinson and Ben Foster, conveniently located only two doors down from the duo’s well established and highly popular cafe-by-day, and laid-back restaurant-bar-by-night, Pope Joan. 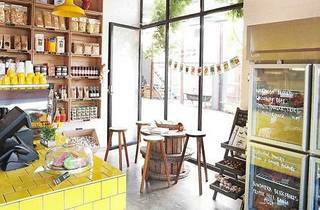 At Hams & Bacon, you can grab a coffee and one of the super-tasty signature Pope Joan sandwiches to take away, as well as peruse (and perhaps purchase) some of the produce used by the chefs in the Pope Joan kitchen. Its aim: to provide local, high-quality produce to the customer so they might enjoy at home as well as at Pope Joan and Hams & Bacon.